The Daily Star reports that Manchester United are set to "sensationally swoop," or maybe that should be re-swoop, for Harry Maguire. The paper claims that Ole Gunnar Solskjaer is preparing to write out a cheque of enormous proportions to bring the Leicester City centre-back to Old Trafford, with United on the verge of parting with £65m for the England international. It's not the first time that United have tried to bring Maguire to United, with the club having ambitiously tried to tempt him to the north west after the World Cup last summer. Now Maguire is thought to be up for a move, with the Champions League quarterfinalists prepared to offer him £140,000-a-week. Maguire is currently contracted to Leicester until June 2023. 23.00 GMT: That will do it for tonight's edition of Transfer Talk LIVE. We remind you to check back in a few hours for more rumours and rumblings from around the football universe. Goodnight! 22.40 GMT: Man United to sign struggling Real Madrid star? The Sun claims that Man United could sign Real Madrid and Germany midfielder Toni Kroos, 29, for a reported £50 million. 22.00 GMT: Gregory van der Wiel, remember him? The Dutch defender, who started and played 120 minutes in the 2010 World Cup final, has been let go by Toronto FC and is now a free agent. The two sides mutually agreed to part ways, with Van der Wiel having already been away from the club the last two months. The two managed one season together, in which the former PSG man made 34 appearances for the Reds. If Van der Wiel, now 31, joins another club it will be his sixth follow Ajax, PSG, Fenerbahce, Cagliari and TFC. 21.26 GMT: With Aaron Ramsey already confirmed to join Juventus in the summer and Mesut Ozil's future at the Emirates uncertain, Arsenal's midfield faces some serious questions this summer. Granit Xhaka's recent comments to Swiss paper Tagblatt, via football.london could add another one to the list. The 26-year-old Swiss international has been a staple in Unai Emery's team but hinted to the paper he may not be content at Arsenal and could eye something more soon. "I'm very ambitious, I want to take the next step, Arsenal does not have to be the last stop," he told Tagblatt. Reading between the lines it sounds like Xhaka wants to play Champions League football next season, adding another layer of importance to Arsenal's last eight league games and run in the Europa League. Arsenal currently sit fourth in the Premier League table and will play Napoli in the last eight of the Europa League beginning on April 11. 20.49 GMT: Brazilian whiz kid Vinicius Junior is already looking like a bargain for Real Madrid at £39.6 million and the club could soon look to strike gold a second time at Flamengo. That is due to a report from The Sun, which claims Los Blancos are preparing a whopping £60.5m swoop for another Flamengo talent, Reinier Jesus. The 17-year-old is being tabbed as the next big thing in Brazilian football and is also reportedly being tracked by Liverpool. FIFA rules prevent Jesus from moving to Europe until he turns 18, so the top clubs in Europe will have to wait and start counting down the days until Jesus turns 18 on January 19th. There is no question that £60m is a ton of money for a player who has yet to make his first-team debut but then again, that sum of money could prove to be pennies in the long run if Jesus pans out like Vinicius has early on at the Bernabeu. 20.12 GMT: Arsenal youngster Reiss Nelson has enjoyed his time on loan in Germany and believes it will serve him well in the long run. The 19-year-old has scored six goals in 18 games for Hoffenheim this season and was recently vocal in talking about how it will help him both with Arsenal and the England Under-21s. "I have developed. It's not just on the pitch but off the pitch as well. I'm working in the gym. I went there as an 18-year-old and I was finding it difficult to put weight on. They got me in the gym, they got me doing more weights and I think you can see the improvements in my game. "I'm more explosive now off the ball. I don't just need the ball into my feet, I can run in behind and it's helping a lot." Nelson is expected to return to London and fight for a spot with the Gunners next season. 19.36 GMT: Leeds currently sit third in the English Championship and are right in the thick of the promotion race. Marcelo Bielsa and Co. could be set to lose a striker this summer if reports in Turkey are to be believed, though. Aksam suggests that Trabzonspor will trigger the purchase option for Leeds loanee Caleb Ekuban. 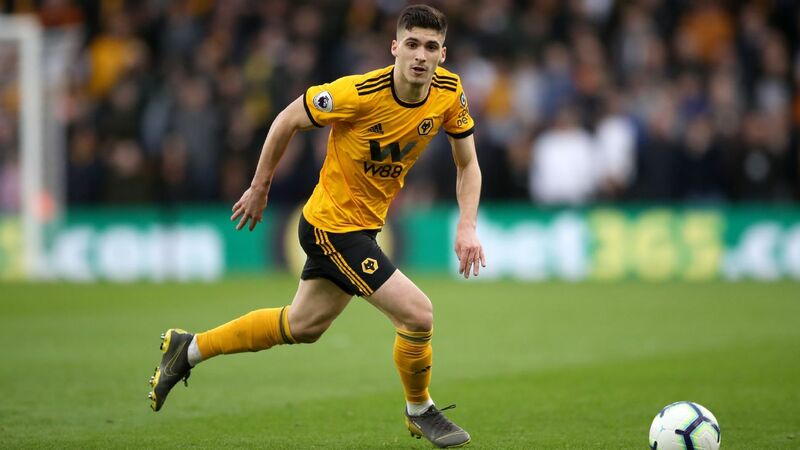 The 24-year-old, Italian-born striker has scored seven times this season while on loan away from Elland Road and apparently done enough that the Turkish club are keen to keep him. 18.57 GMT: Alaves have responded to Spanish publication La Segunda's report over the weekend that West Ham bid €10 million for centre-back Guillermo Maripan in January. Alaves Sporting Director Sergio Fernandez has rejected the claim from La Segunda, saying there has been no contact from West Ham for the Chilean. "Unfortunately I have to tell you that there is no supposed interest in Guillermo," said Fernandez. "I am not aware of any proposal on their part," he added. Maripan reportedly has a fan in countryman/West Ham manager Manuel Pellegrini and with Alaves' success bringing added attention and eyes, the Spanish club figure tol have a tough time holding on to the talented 24-year-old defender. 18.08 GMT: Could Aston Villa striker Scott Hogan make a sensational return to Brentford in the summer? The 26-year-old Republic of Ireland international has flopped since arriving at Villa Park in January of 2017 and is currently struggling for playing time while on loan at Sheffield United. Hogan scored 14 goals in 25 games in his last half-season with the Bees and reportedly still has some admirers at Griffin Park. 17.30 GMT: Salomon Rondon has had a good season for Newcastle while on loan from West Brom but could the Venezuelan soon have another new post address? Rondon, who has nine goals and five assists in the Premier League this season, is being linked with a move to Everton by the Daily Star. Rondon has stated his preference would be stay at loan club Newcastle but that decision could ultimately be out of his control. "I have spoken with them and made it clear. "If there is an opportunity for me to be here - I'll stay here 100%. "If not I will say thank you to everybody and see what happens." 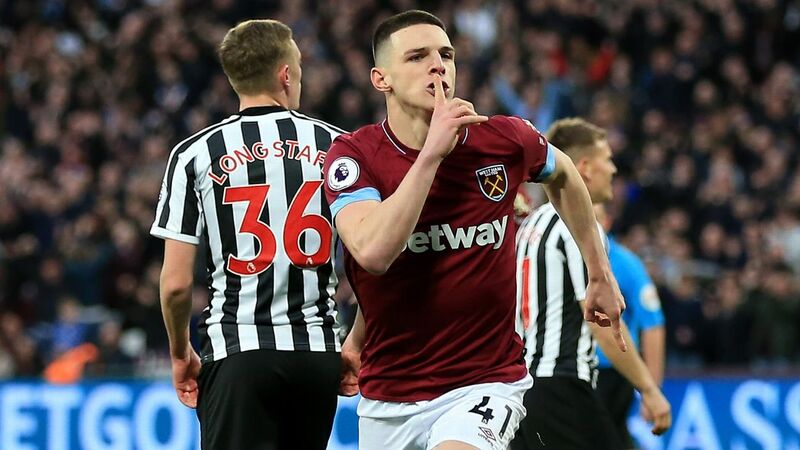 Everton are a club that has been desperately lacking a focal point to lead their attack and Rondon, a back-to-goal, old-shool frontman would fit the bill on paper. 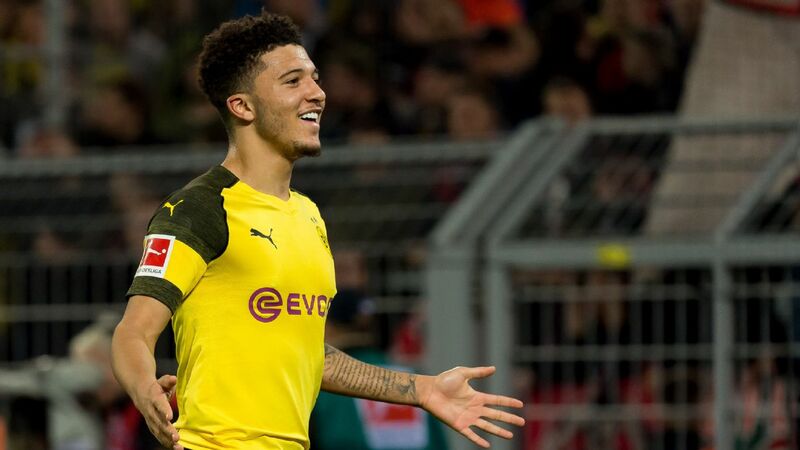 16.45 GMT: Has Jadon Sancho hinted at his future on Twitter or is he just just trolling us? The Borussia Dortmund playmaker retweeted a tweet from Goal.com linking Sancho with a move to Man United. Is the ex-Man City youngster keen to return to Manchester, this time to the red side of the city? Or is he simply just having a laugh at the media's expense? 15.58 GMT: Hope for Man United, Liverpool, Man City, Juventus, Real Madrid and anyone else wanting to sign 19-year-old Benfica star Joao Felix. For starters, he has a €120m release clause, so that's easy for anyone who can pay it. But also Benfica sporting director Manuel Rui Costa has admitted that Felix won't stay at the club forever. "We will try to keep him as long as possible and that is the case for Felix as for any other player," Costa told Tuttosport. "This is the club's policy. Then we'll see. We are aware the clauses exist for a reason and that certain players cannot be held back in Portugal indefinitely." 15.29 GMT: Fulham don't really need any more bad news given they look destined for a return to the Championship, but football.london claims that Jean-Michael Seri has no intention of dropping down a division and wants to depart in the summer if they do get relegated. "Several clubs" in Ligue 1 have already shown an interest evidently while Dortmund could come back in for the 27-year-old if they lose Julien Weigl to PSG. 15.02 GMT: This next one genuinely made us laugh. Stephan Lichtsteiner won't sign a new deal at Arsenal unless he's offered a guarantee of playing first-team football, say the Evening Standard. Fitness issues aside, the 35-year-old Lichtsteiner has shown on multiple occasions that he shouldn't be starting for the Gunners and realistically he wouldn't have played half the games he has if Hector Bellerin hadn't suffered a season-ending injury. "Arsenal is a big club, I feel very happy. But I want to play regularly with regard to Euro 2020," he said. "It was okay this year. But if the coach says that he no longer counts on me, I have to worry." 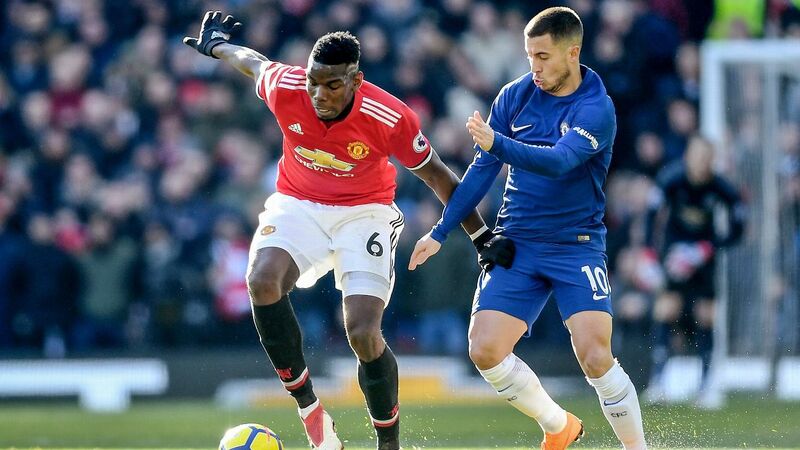 14.14 GMT: If you had a chance to sign 'the new Paul Pogba' you would, right? 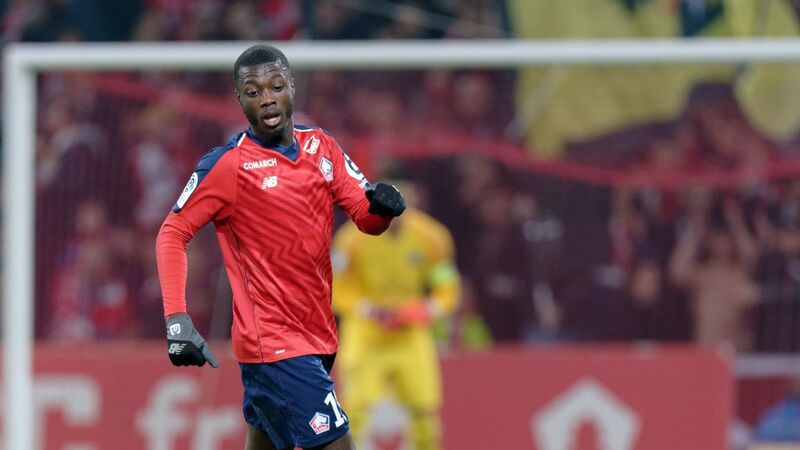 Lille midfielder Boubakary Soumare is apparently that and, at 20, has plenty of time to make his own career. He's seen interest from Man City and Newcastle, but now it's Tottenham who are leading the race. Footmercato reports that Spurs' scouts were impressed, but that Juventus (who of course signed the original Pogba from Man United before selling him back for £89m profit) were also watching on. 13.06 GMT: Barcelona are open to selling Philippe Coutinho should they receive a bid upwards of £90m, despite the Brazil international's desire to stay, sources have told ESPN FC. 12.39 GMT: ICYMI - this is just Atlanta United midfielder Pity Martinez telling Argentine TV that Barcelona and Argentina legend Lionel Messi has asked him about playing in MLS. "He asked me about the U.S. league, how it was, and with several Argentine teammates as well," Martinez said. 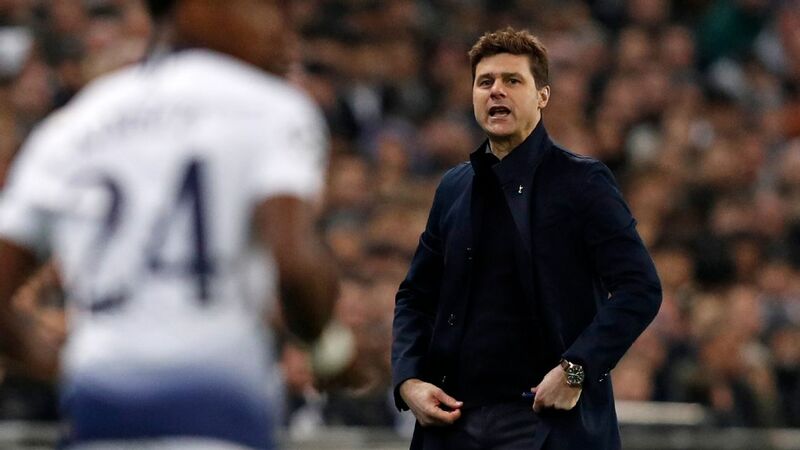 11.46 GMT: Mauricio Pochettino's success at Spurs has seen him heavily linked with the job at Manchester United following Jose Mourinho's sacking in December, but goalkeeper Hugo Lloris said the manager is crucial to Spurs' hopes of success. "The Tottenham project is the Mauricio Pochettino project," he told L'Equipe. 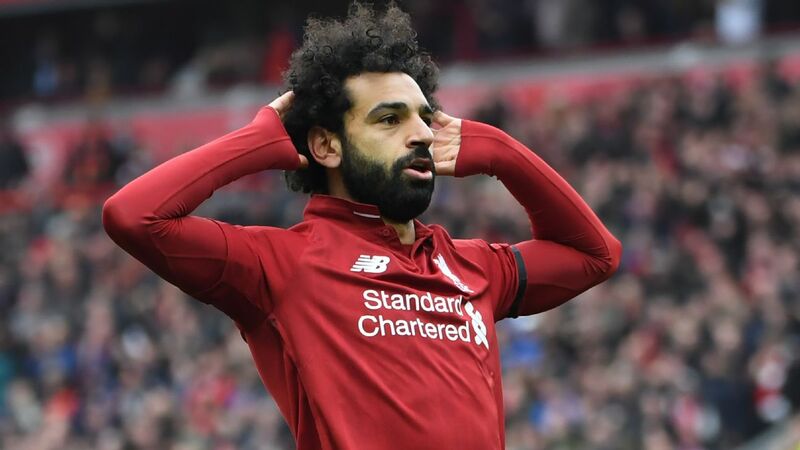 "He has been there years -- he has done extraordinary work and even though he's not yet been rewarded with trophies, it's very, very high level stuff. 11.12 GMT: Ander Herrera remains keen to sign a contract extension at Manchester United, despite interest from Paris Saint-Germain, sources have told ESPN FC. The 29-year-old Spain international is out of contract in June and has been in talks with United since last summer, but no deal has yet been reached. According to sources, Herrera is now is a strong bargaining position over his future with PSG keen on capturing such a high-quality player on a free transfer as they seek to fill an area of need with wantaway midfielder Adrien Rabiot set to leave the French champions for nothing this summer. 10.45 GMT: Milan Skriniar's representatives have told AS that "cannibal agents" are trying to muscle in on their client and have claimed Manchester City failed with a €55 million bid for the Inter Milan defender. The Nerazzurri signed Skriniar from Sampdoria for €28m in 2017 with the Stars & Friends agency brokering the move. They continue to represent the 24-year-old through agent Mithat Halis, who has suggested interference from Mino Raiola is scuppering any chance of a move to Real Madrid. 10.17 GMT: Chelsea almost signed Nicolo Barella from Cagliari in January and now AC Milan have made a move to land the 21-year-old midfielder, say Sky Italia. Barella could cost in the region of €50m but Milan sporting director Leonardo and Cagliari president Tommaso Giulini have reportedly held talks over the player already. 09.45 GMT: Inter Milan are ready sign Edin Dzeko from Roma, according to Il Corriere dello Sport. A clash with teammate Stephan El Shaarawy appears to have spelt the end for the Bosnia international in the Italian capital. And, despite his struggles this season in front of goal, Inter are favourite to make a move for Dzeko should Mauro Icardi leave in the summer. 09.22 GMT: Europe's top clubs are rightly getting quite excited about the prospect of signing Raphael Varane from Real Madrid this summer. Varane has kept his cards close to his chest, saying: "I do not want to talk about my future. I am not one to discuss my future publically." But Marca claim that behind closed doors he has spoken openly to teammates in the Madrid dressing room about wanting a new challenge. Manchester United are the ones getting most excited, but every club in the world would want one of the best defenders around. And he's only 25! 08.56 GMT: Moving away from Atletico for a minute, Sport say that Thomas Tuchel has asked PSG to keep an eye on Eintracht Frankfurt's Luka Jovic with a view to a future move. We've told you before than Barcelona are also keen and Sport's opinion is interesting on this one. Given the talk over Neymar's return and the fight for Frenkie de Jong, the two clubs are in a "cold war." Sport say: "Keeping in mind the cover Thomas Tuchel has in defence and attack, to be in for [Matthijs] De Ligt and Jovic has only one motive: to drive up the cost of a transfer." 08.27 GMT: Oh go on then, let's see who else Atletico are being linked with today. Diario AS report that they want Ajax left-back Nicolas Tagliafico. The Argentina international signed for Ajax in 2017 from Independiente and has been a regular since, but is set to move on this summer and has been linked with Barcelona and Arsenal. Atletico have identified Tagliafico as their No. 1 target to cover the left-back position, with Filipe Luis set to leave the club when his deal ends this summer, and are ready to meet the €20m asking price of Ajax. 08.19 GMT: This is most likely linked to the below as Record report that Atletico Madrid have joined the race to sign Benfica centre-back Ruben Dias. 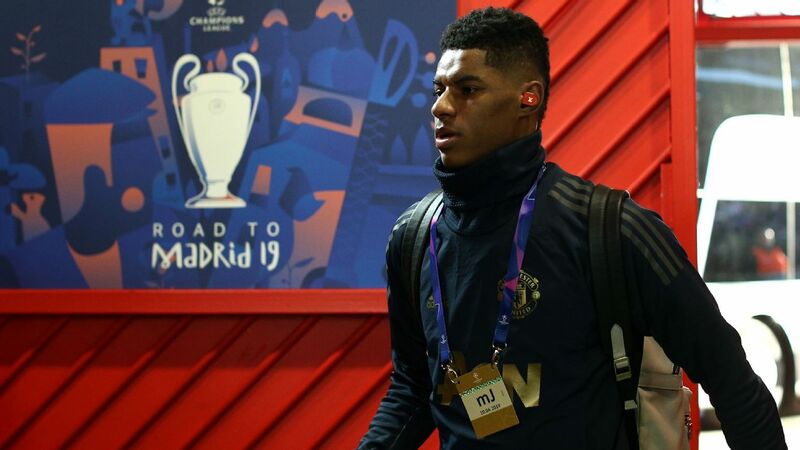 Dias, who is on international duty with Portugal, is a reported target of Manchester United and Juventus and the 21-year-old has played more than 70 official games for Benfica since making his first-team debut in 2017. He has a €60m release clause, while Atletico are looking to strengthen their backline with Uruguay centre-back Diego Godin expected to leave on a free transfer this summer and Lucas set to move to Bayern. 08.00 GMT: Sources have told ESPN FC that, contrary to some reports, Lucas Hernandez has not yet agreed terms with Bayern Munich. Bayern are reportedly happy to pay the Atletico Madrid and France defender's €80m release clause but for now the negotiations continue between club and player. Could one of the architects of Manchester United's up-tick in fortunes be about to vacate the building? Most certainly yes, according to the Sun, with the paper reporting that Ander Herrera could soon be off to Paris Saint-Germain, despite the widely-reported belief that he was about to pledge his future to Manchester United. The Spaniard has been superb for United since Solskjaer righted the sinking ship previously skippered by Jose Mourinho. He is out of contract at the end of the season but United were increasingly confident that Herrera would put pen to paper on a new deal. Now, though, it looks like PSG have gone and nabbed him -- for a reported £150,000-a-week. Herrera arrived at Old Trafford from Atletico Bilbao for £29m five years ago and has been instrumental in helping United rise up the league and maintain their Champions League push under their new Norwegian boss. But now, it could well be au revoir. But wait, there's more rumours surrounding Manchester Untied, with news that they are trying to land Sporting Lisbon's Bruno Fernandes. That's according to the Evening Standard, which reports that Solskjaer has told Ed Woodward that he needs at least one top notch midfielder this summer after Marouane Fellaini exited in January. They are unlikely to have things their own way in the chase for the Sporting star, though, with Fernandes having already caught the eye of pretty much every top club in Europe. The 24-year-old has been smashing the goals in in Portugal this season, with the midfielder also shining as a creative force in the Sporting midfield. 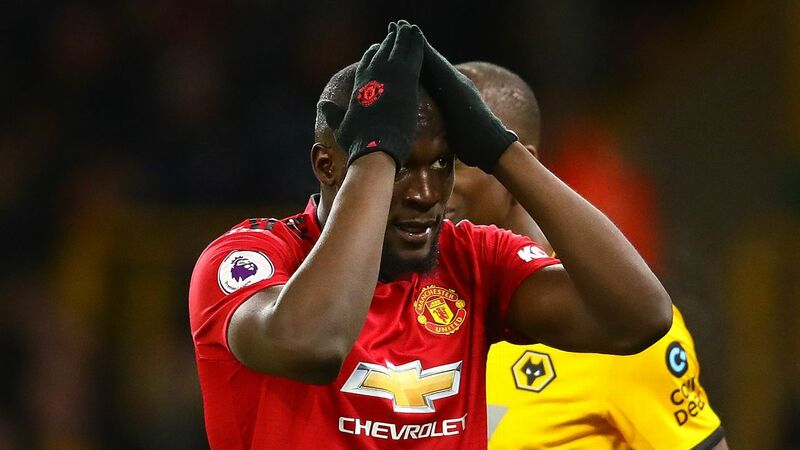 The Standard reports that he could be just one signing in a cavalcade of new arrivals at Old Trafford this summer, with the paper reiterating the club's interest in Kalidou Koulibaly and former Manchester City star Jadon Sancho joining the illustrious list above. Who could say no to Barca? International week is a perfect time to fire questions at a player over his club and journalists across the globe have once again made the most of their opportunities. Over in Argentina, the target was Ajax wonder-boy Nicolas Tagliafico, who was paraded in front of the waiting press to insist that he was happy at Ajax. But that it was nice to be linked with Arsenal. And flattering to apparently find himself on Barcelona's hit-list this summer. That's without even mentioning interest from Atletico Madrid. 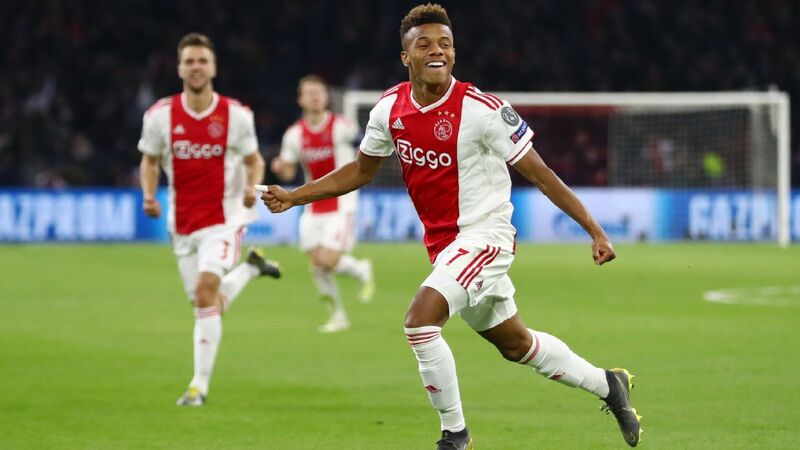 According to the Daily Mail, the player still only has eyes for the Dutch giants -- hardly surprising given Ajax's astonishing progress in the Champions League -- but history has shown that when Barcelona come knocking, it's hard to say no. - Real Madrid's No. 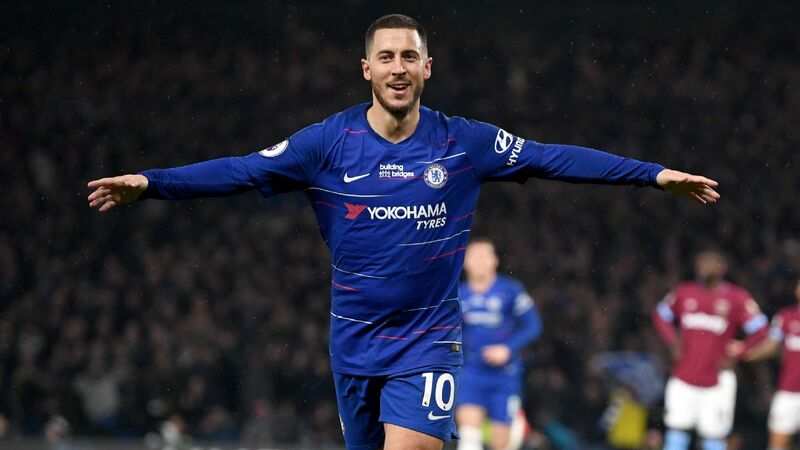 1 target this summer appears to be Eden Hazard but, if that move gets scuppered, Los Blancos are lining up a deal for West Ham's Felipe Anderson -- that's according to Sky Sports. - Talksport says that there is a "very strong possibility" that Christian Eriksen will leave Tottenham to join Real Madrid this summer. - David Alaba has told Bild that he "can imagine trying something else but I really feel very comfortable at Bayern." Which has, of course, caused the Daily Mail to speculate that Arsenal may be interested in the Austria international.